Clint was born and raised in rural Washington state, spending most of his curious youth captivated by the natural world that he now captures through his work. With years of experience, creativity and drive, you can rest assured that Clint and his team will bring their very best to every situation. Peak Photography will elevate your brand, document your adventure, and create those memorable experiences you will want to relive time and time again. Highly focused in providing businesses the appropriate media solution for advertisements, merchandising, and products. Peak Photography’s commercial focus caters to needs for corporate brochures and pamphlets, menus, and similar commercial uses where photographs enhance a text. One of the biggest milestones in many peoples lives involved an engagement, wedding and reception. Peak Photography offers a multitude of packages to help capture those moments to last a lifetime. 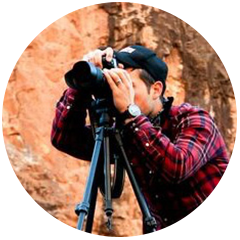 With in-depth knowledge of the outdoor and hunting industry, Peak Photography can help you achieve your mental vision for any brand, product or person. With experience in events, lighting and details, Peak Photography combines a multitude of skills to present a fully encompassing photo package for any event you may want captured.